Snow provides large seasonal storage of freshwater, and information about the distribution of snow mass as snow water equivalent (SWE) is important for hydrological planning and detecting climate change impacts. 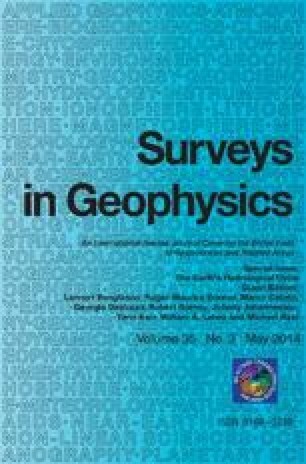 Large regional disagreements remain between estimates from reanalyses, remote sensing and modelling. Assimilating passive microwave information improves SWE estimates in many regions, but the assimilation must account for how microwave scattering depends on snow stratigraphy. Physical snow models can estimate snow stratigraphy, but users must consider the computational expense of model complexity versus acceptable errors. Using data from the National Aeronautics and Space Administration Cold Land Processes Experiment and the Helsinki University of Technology microwave emission model of layered snowpacks, it is shown that simulations of the brightness temperature difference between 19 and 37 GHz vertically polarised microwaves are consistent with advanced microwave scanning radiometer-earth observing system and special sensor microwave imager retrievals once known stratigraphic information is used. Simulated brightness temperature differences for an individual snow profile depend on the provided stratigraphic detail. Relative to a profile defined at the 10-cm resolution of density and temperature measurements, the error introduced by simplification to a single layer of average properties increases approximately linearly with snow mass. If this brightness temperature error is converted into SWE using a traditional retrieval method, then it is equivalent to ±13 mm SWE (7 % of total) at a depth of 100 cm. This error is reduced to ±5.6 mm SWE (3 % of total) for a two-layer model. MR is funded by National Environment Research Council studentship F3275903, and ID is a member of the National Centre for Earth Observation.